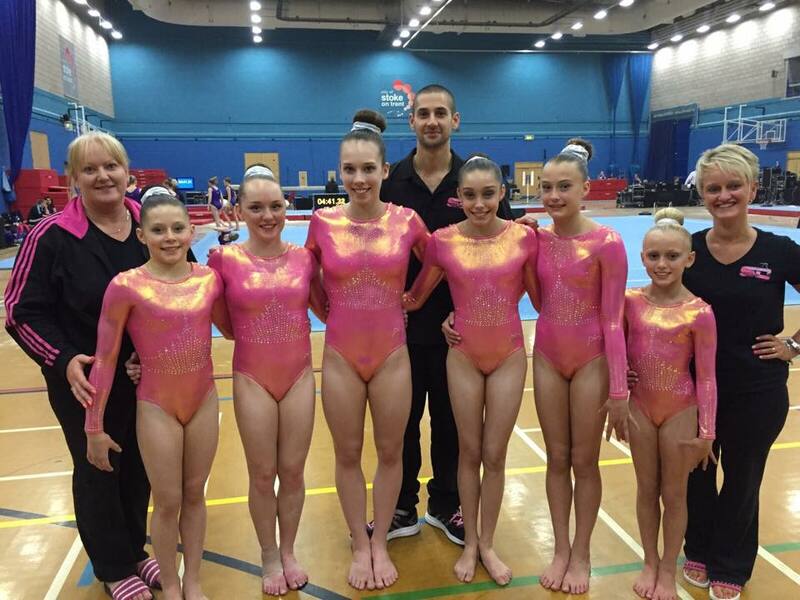 Rebecca & Ruby Return, Worlds Trial Scores, British Juniors In Action, British Teams Full Results. Thanks to Ellie Downie for permission to use her photo from today. British teams isn’t quite the competition it used to be, previously a big part of the domestic calendar with big teams stacked with talented junior and senior talent battling it out for the title, it would take two days of competition such was the number of entries, and a place in the top six was hard fought, and tough to keep. A poor performance would see relegation to the Saturday competition the next year, with the big guns selling out the tickets for the Sunday title decider. Way back in around about 1997 at the Arun Leisure Centre I saw a very young Beth Tweddle on the same team as now Liverpool Coach, then senior gymnast, Claire Duffy. The competition then moved to Guildford Spectrum which saw some classic battles between, Liverpool, Heathrow, Notts, and Park Wrekin to name a few. 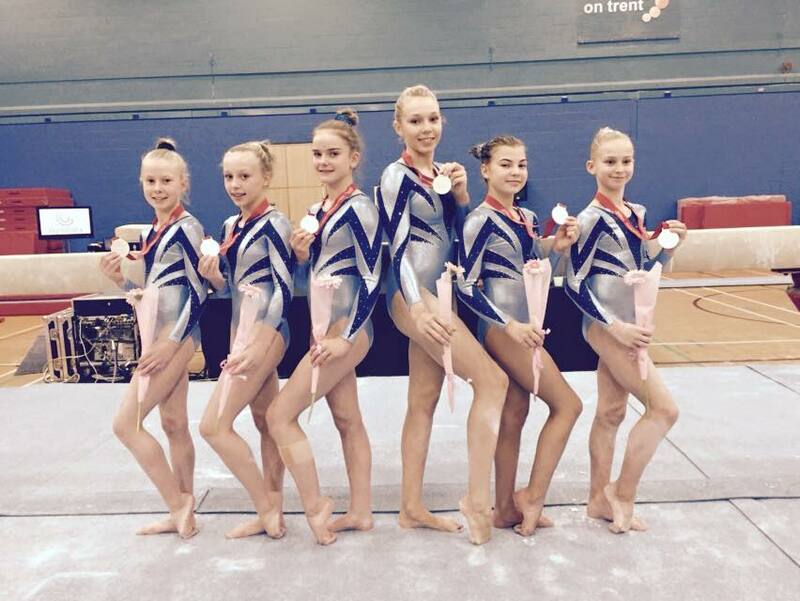 Today’s competition saw just eight teams enter, but there was still a huge amount going on, not only with the team event, but with gymnasts trialing for worlds, the return of Rebecca Tunney and Ruby Harrold, and GB International juniors in action. The team title was taken by Liverpool, with Park Wrekin in second, and The Acadamy third. 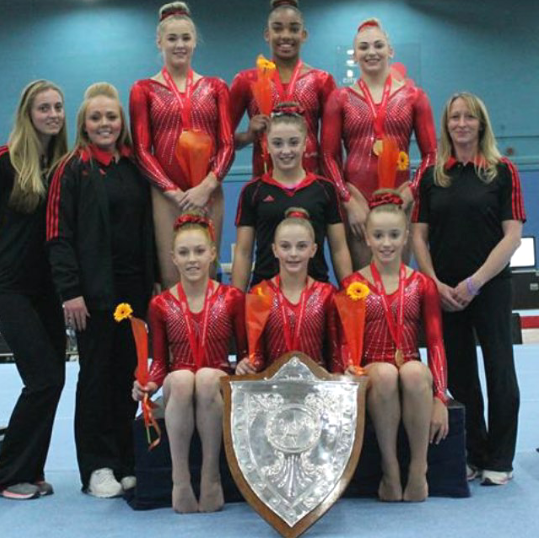 Liverpool had two senior Internationals in Rebecca Tunney who competed beam and floor, and Charlie Fellows who competed AA. 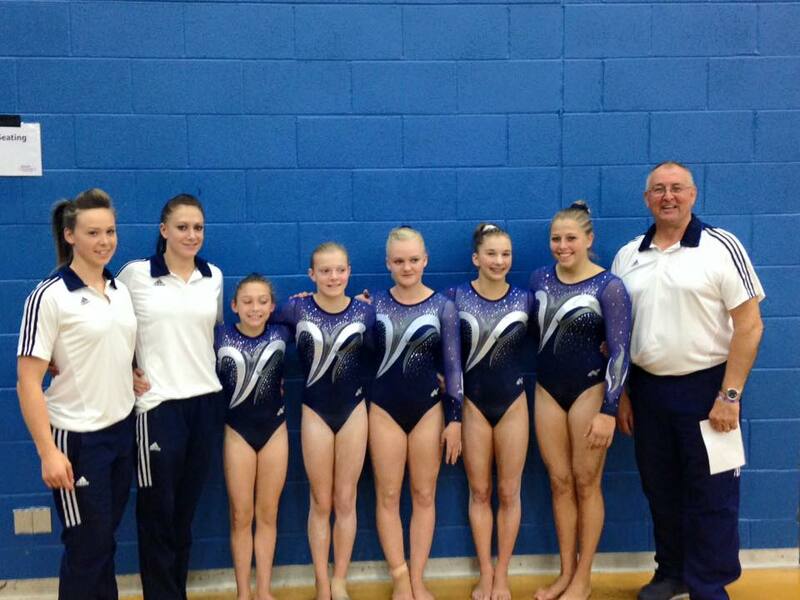 They also had junior International Lucy Stanhope on their team. 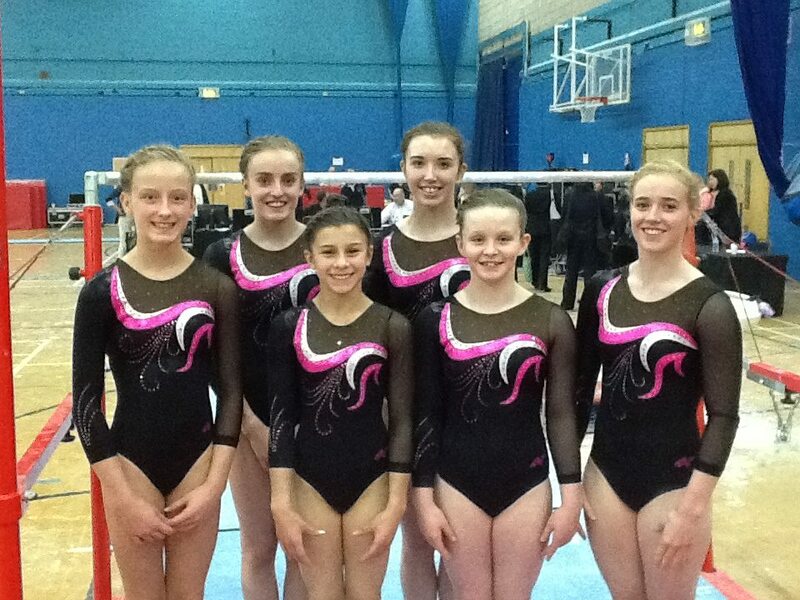 Park Wrekin came with International Junior Alice Kinsella, but without Georgina Hockenhull who was listed to compete.The Academy saw the return of Ruby Harold, as well as having two junior Internationals in Abi Solari and Phoebe Turner. 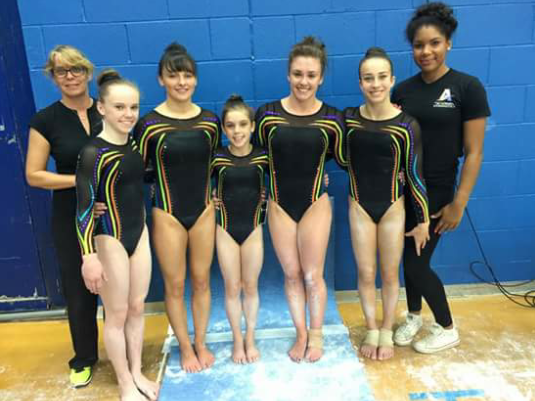 Other International gymnasts competing for their teams were Amy Tinkler for South Durham who placed 4th, and Kelly Simm for Dynamo who placed 8th. The battle of the GB juniors was won by Phoebe Turner today scoring 51.40 AA, with Abi Solari on 49.60, and Lucy Stanhope on 49.350. Alice Kinsella scored 40.2, but only contested vault, beam, and floor. For the world’s trialists it was a mixed day, with some great performances, and some creases yet to be ironed out by worlds. With the nominative team scheduled to be announced shortly, these last competitions and trials are important for experience, and getting the competition numbers in, but not an indication of Championship performance. One only need to remember the foolishness of those who wrote Becky Downie off after a disastrous beam at the British, only to see her hit two wonderful routines at Euros a few weeks later, the second of which in finals was enough for silver, and in my mind enough for gold. 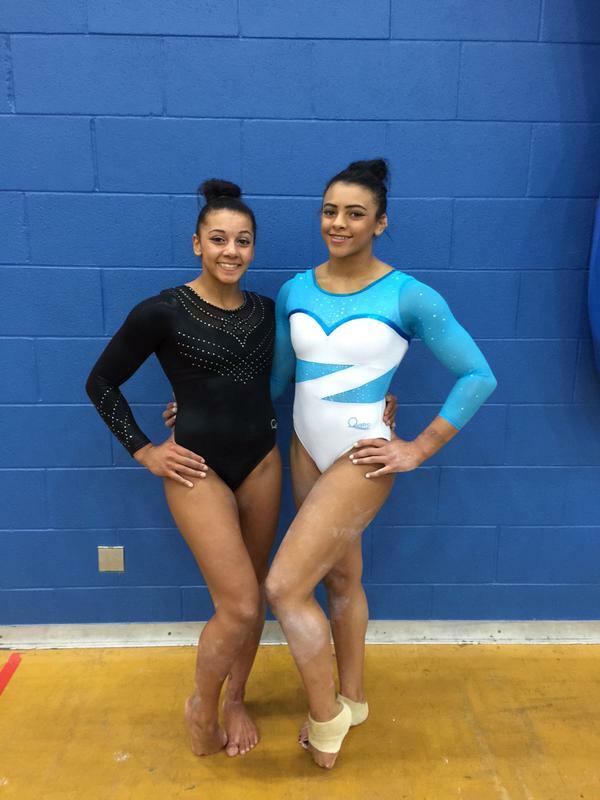 Lisa Mason, Claudia Fragapane, and Georgina Hockenhull were listed to compete but did not, Tyesha Mattis was not listed. I don’t know the exact status of all the gymnasts, but I know a few of them are struggling with various injuries, so wish them a speedy recovery back to full strength. Not everyone competed AA, scores as follows. There will hopefully be some video from today available, which I will add as soon as they go up, so do check back. September 12, 2015 in Competition.